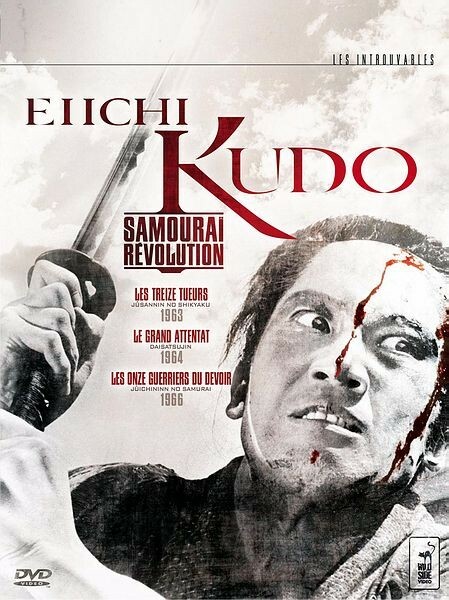 Eleven samurai are sent to avenge their lord who was murdered by the arrogant and cowardly brother of the Shogun. Eleven Samurai is a film directed by Eiichi Kudo, and is the last chapter of his so-called Samurai Revolution trilogy. The other two films being 13 Assassins (1963) and The Great Duel (1964). This one is thematically and structurally identical to its predecessors, with the story of a group of samurai who go on a suicide mission to assassinate an evil high ranking official. With a 95 minute running time, this film is about a half hour shorter than the others and the result is a tighter and more engaging story that doesn't bog down in the second act. Even with the shorter length, there is still plenty of planning and political scheming and a couple of suspense filled scenes of thwarted ambushes before the ultimate showdown. The battle this time takes place at a river crossing amidst a heavy rainstorm. As the target takes shelter to wait out the storm, the samurai first cut loose the boats to prevent escape then attack the well protected lord who outnumbers them 5 to 1. This is an amazing scene and one of the most intense battle sequences in any samurai film. 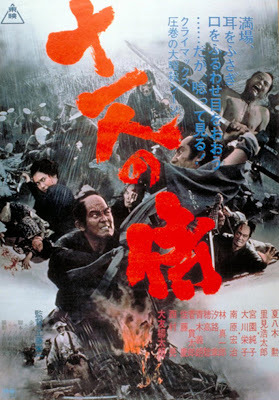 Eleven Samurai, like its unoriginal title implies, follows the typical formula and offers nothing new or unique to the genre. However it succeeds as a very well crafted and exciting film with some beautiful cinematography that deserves a wider audience and should not be missed. I don't suppose this is the fourth sequel to Seven Samurai, is it? This looks really interesting, thanks for the review, I will check it out soon! In some ways it is. Have not seen this one but I need to now. The last of what looks like an awesome trilogy. I'll have to watch the last two, this one and The Great Duel someday. So contrary to my tweet about the new 13 Assassins, sometimes between 7 samurai and 47 ronin, the Japanese can make due with 11 instead of 13. Is that what your telling me? Whatever it takes to get the job done.